It is crazy how fast April is going by! My goodness! That means that it is getting closer to my sister's birthday, and my own birthday. My sister is turning 16 on the 27th, and to celebrate her birthday, we are going to the beach with a few of her friends this weekend. I decided to make a really neat blogging opportunity out of this trip. I love looking at layouts on Pinterest, and I love trying to create my own, so compiling a packing list in the form of layouts was a really fun project for me. 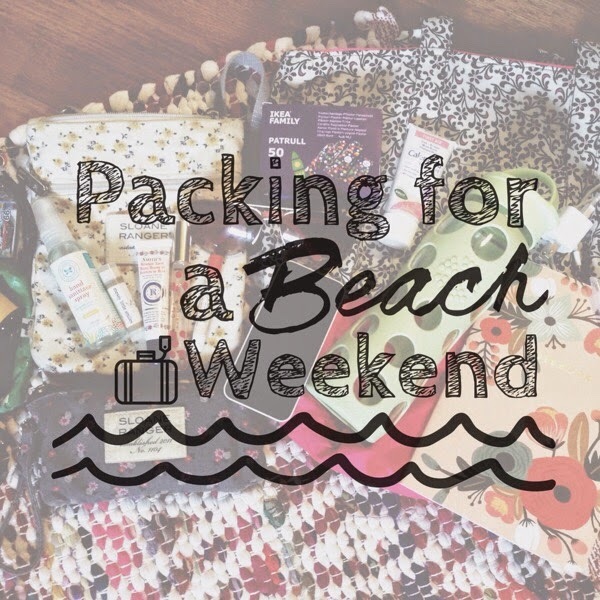 I am going to share how to pack minimally for a beach weekend on the Oregon coast. I am packing for the weekend in a smaller, Adidas duffle bag, so it's not a large bag to pack things in. This is why I am being very minimal about my choices. When going to the Oregon coast in the Springtime, you should expect the beach to be somewhat overcast, kind of chilly, and maybe rainy. The weather at the beach can sometimes be unpredictable, and that is why when you pack for the coast, you should bring layers. Layers to add on, and layers to take off. I packed my North Face windbreaker, a heavy sweatshirt, and a light zip up for those layers. I packed four shirts in neutral colors, and I made sure they were comfy. Of course some underthings, and accessories for a fun flare. I packed yoga pants and an old high school t-shirt for pajamas. I also packed a pair of jeans and three pairs of shoes. I used to pack my whole dresser and closet when I went on trips, but I am proud of myself for limiting, trusting, and sticking to minimal packing. 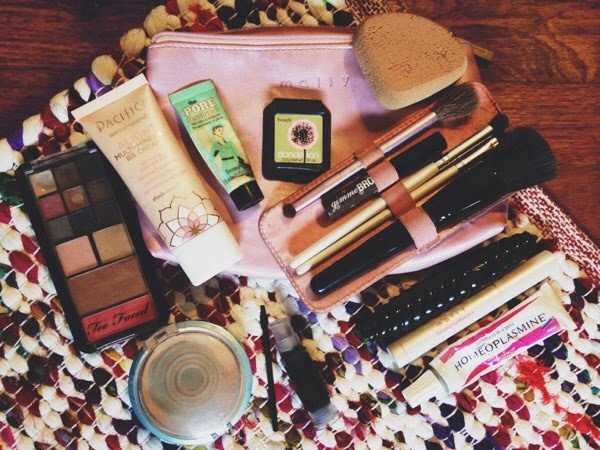 For the toiletries portion of packing, I stuck to basic items that are easy to transport, and that I love using. 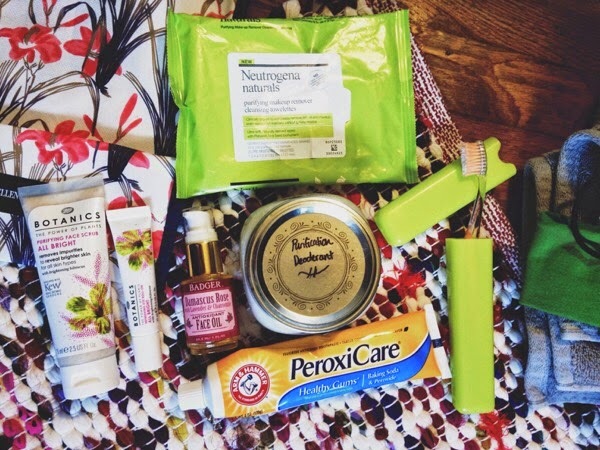 I packed my Neutrogena Naturals Purifying Makeup Remover Cleansing Towelettes to remove my makeup in the evening. This is great for trips because sometimes it is a hassle to remove your makeup elsewhere. It is for me, especially since I stay up late on vacations. I packed my Boots Botanics Purifying Face Scrub and Refreshing Eye Roller for the mornings, and my Badger Damascus Face Oil to moisturize my face. I packed my homemade deoderant, and of course my toothbrush and the toothpaste. I also like to bring my own face towel on trips. I am picky about what I dry my face with, so I like to bring my own towel. I also like something to keep my hair up while washing my face, so I packed up a wide headband and a hair elastic to tie up my hair. I am so excited to celebrate my sister's birthday this weekend, and it will be nice to get away from it all and hang out at the beach. 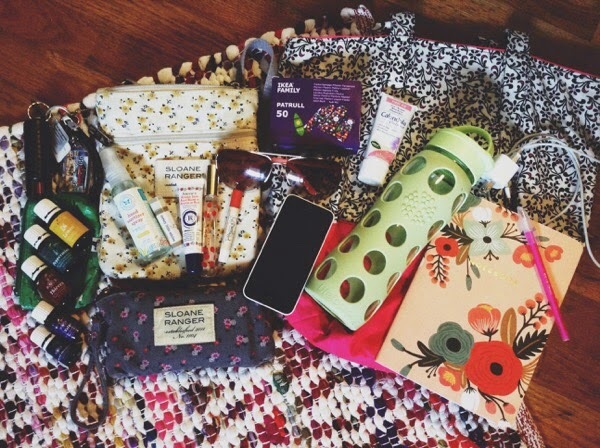 What are your essentials that you always take along on a trip? Remember to share these packing tips! There is often a packing crisis, and it is so easily averted. There will be more posts about the beach birthday weekend to come, so stay tuned!